Happy Monday, friends! Eric and I recently checked another city off our U.S. bucket list with a long weekend in Washington D.C.! We had such a great time exploring museums, eating way too much, and relaxing at our home away from home – the Kimpton Hotel Madera. 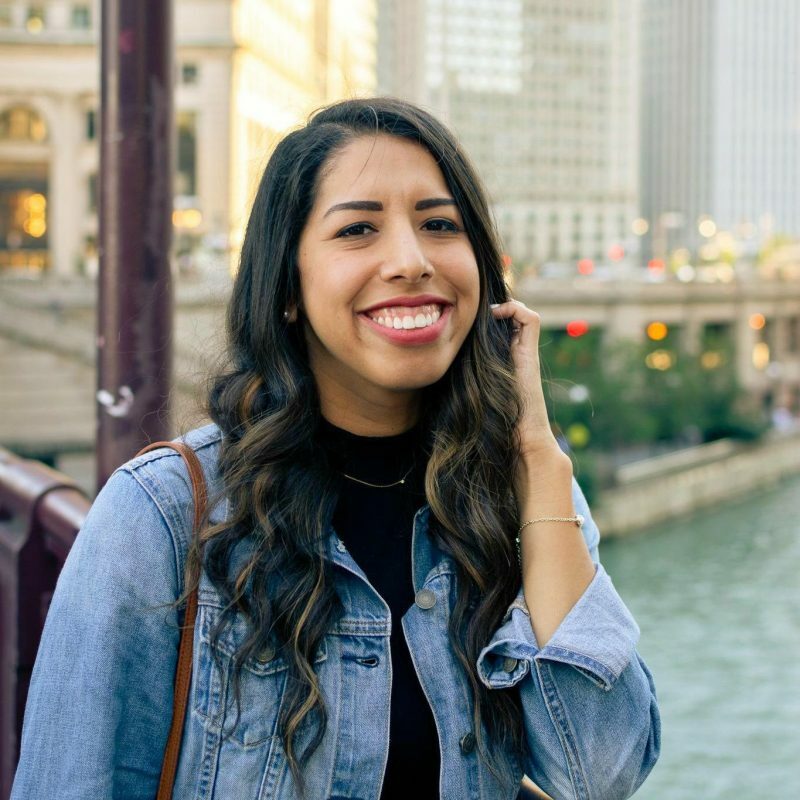 A travel guide for sharing our favorite spots is in the works, but first up, I’m sharing the scoop on where to stay in Washington D.C. in case you need a hotel in the area! 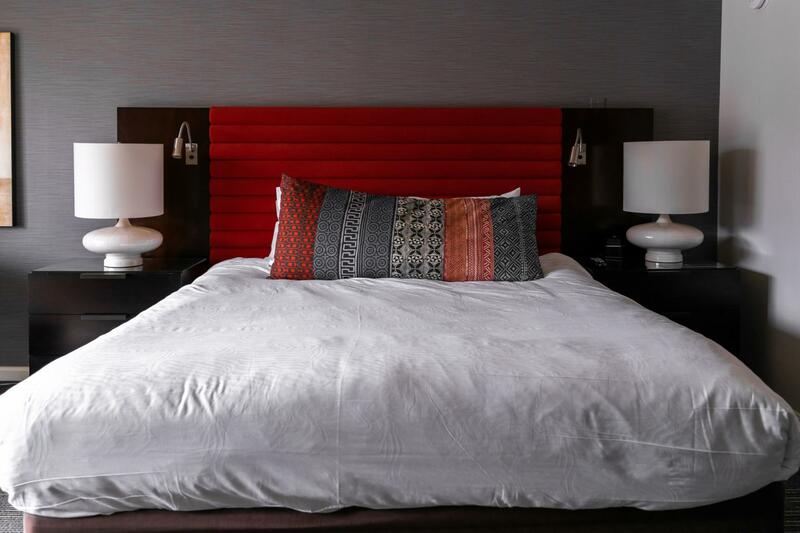 Hotel Madera, part of the Kimpton family, is located in the lively, eclectic neighborhood of Dupont Circle. The area has a collection of galleries, bookstores, and bistros – but more on that later! We flew into Baltimore-Washington International Airport, because honestly, it was way cheaper than Reagan Washington National Airport – even with the Uber ride a bit longer. It was just about a 50 minute ride for around $45. Easy peasy! If you fly into Washington National, you can expect about a 20 minute car ride. Public transit is also an option for either airport. 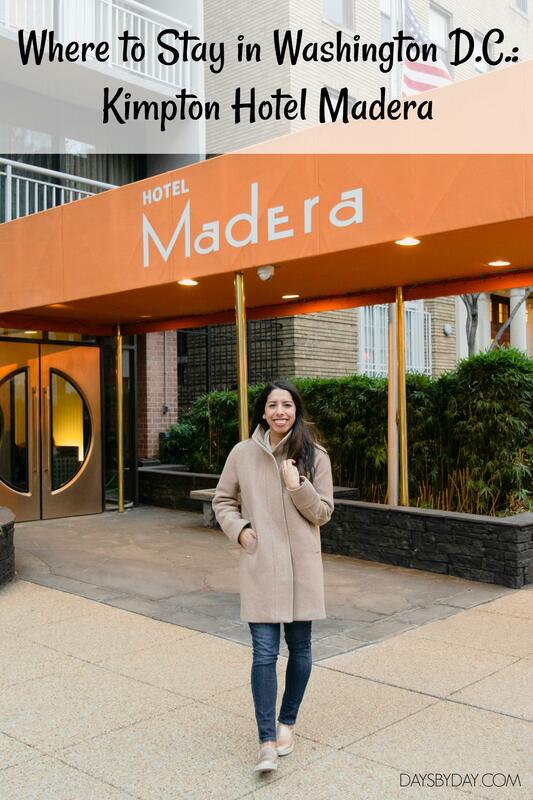 Hotel Madera is just 1.5 blocks from the Dupont Circle Metro station. Immediately upon entering the intimate lobby, you are welcome with a homey, elegant mood emitted by the entire hotel. Warm tones of orange, red, and plum decorate the couch and walls, alongside crafty wood furniture – all a thoughtful nod to the hotel’s Spanish name, Madera, or refined timber. 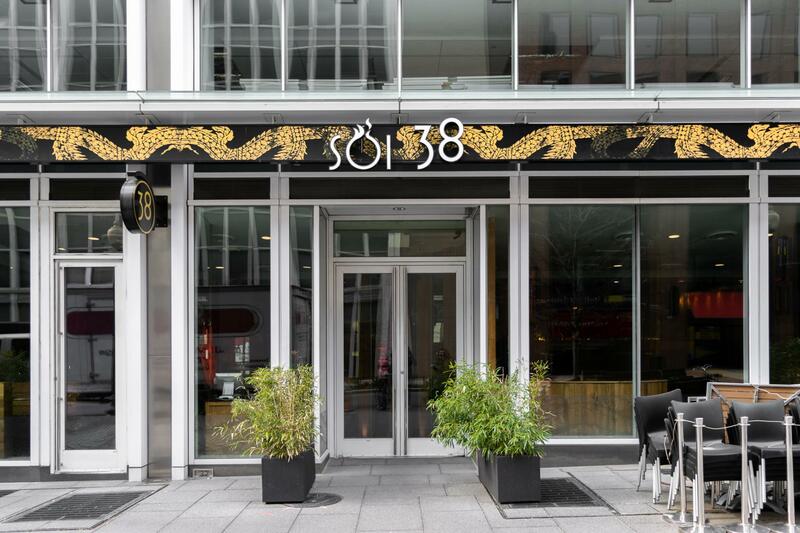 Not only was the appearance inviting, the staff was friendly and accommodating. They made check-in a breeze and answered any questions with a smile. Hotel Madera was also so kind to welcome us with some bubbly and dessert from their locally-loved restaurant, Firefly. You guys, Eric and I loved the room. There was thought in every detail – from the global-feeling pillows, to the funky furniture, to the animal print robes. What can I say? The room was not only cozy, it was really fun! The bed was SO comfortable, I’m serious. We slept like babies every night, which was so nice because we walked miles around the city. At the end of the day, we definitely needed a good night’s rest, and we got it. The rest of the space was such a treat too! The closet and bathroom vanity area was spacious and bright. E and I never felt crowded as we picked out clothes or got ready, so nice! I know the ladies reading this can appreciate that, right? Our balcony overlooked charming neighborhood streets. The wifi worked flawlessly. Multiple lamps provided warm lighting. The decor and furniture were unique and welcoming. My favorite little Hotel Madera perk though? Those robes I mentioned, hello!! There was no question that mine was the cheetah one. 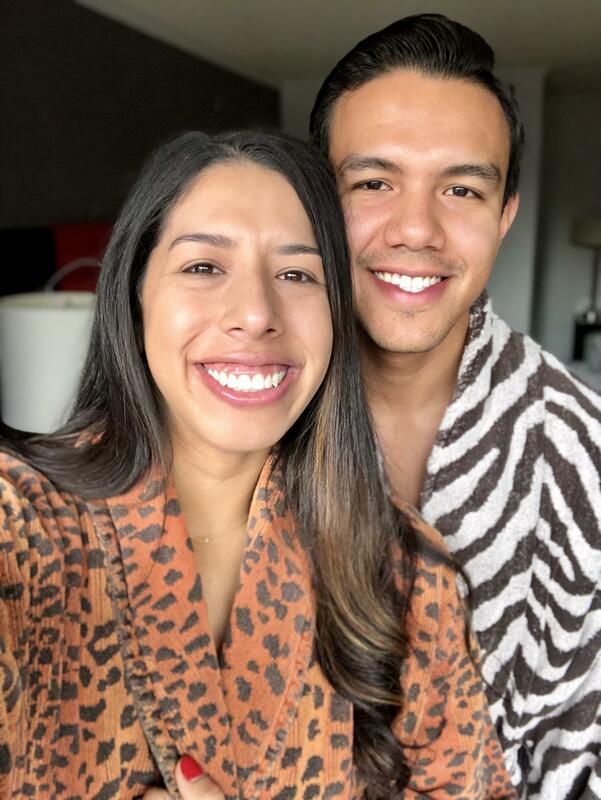 Fun fact: Kimpton hotel robes are totally a real thing. You better believe I felt fancy getting ready in my soft, terry Madera robe each morning. 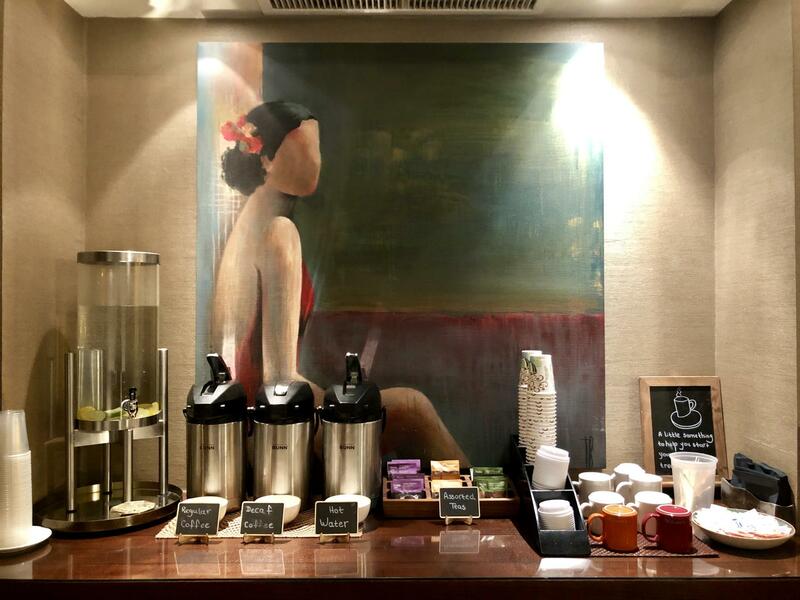 Each morning, coffee & tea are provided in the lobby, and each evening, they host a complimentary wine hour – 7 days a week. It was the perfect way to start our days, and then to unwind back at the hotel before we freshened up for dinner. They’re pet friendly – we saw so many cute pups! In-room services are available – including Firefly dining and spa treatments. Yoga mats in every room & access to a near-by fitness club. Two-hours of complimentary car service for a set period in the mornings and evenings – AKA covered Uber/Lyft/taxi rides up to $10. 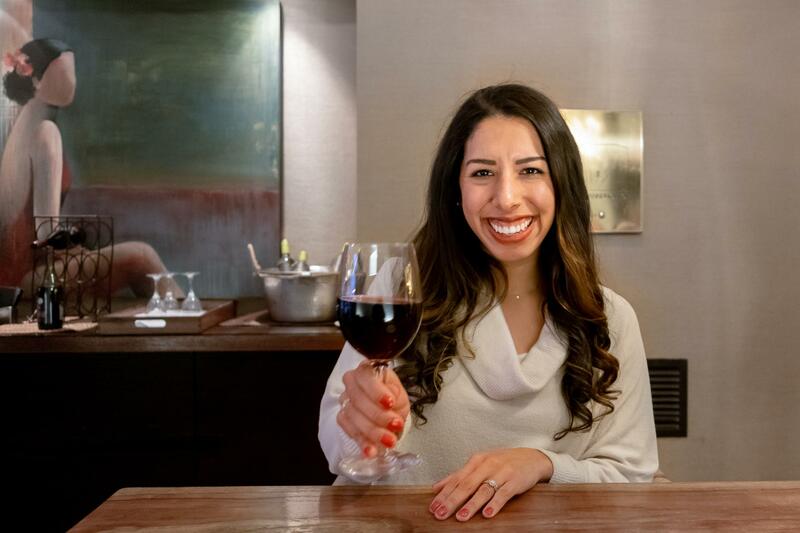 This couldn’t be more perfect for D.C. – we’d get dropped off at a museum or eatery each morning, explore the area, and get a return ride for wine hour! 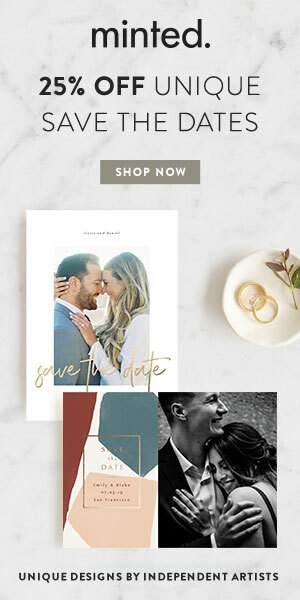 A crazy convenient list of things on their “Forgot it? We got it!” list. Thanks for saving us with the toothpaste! 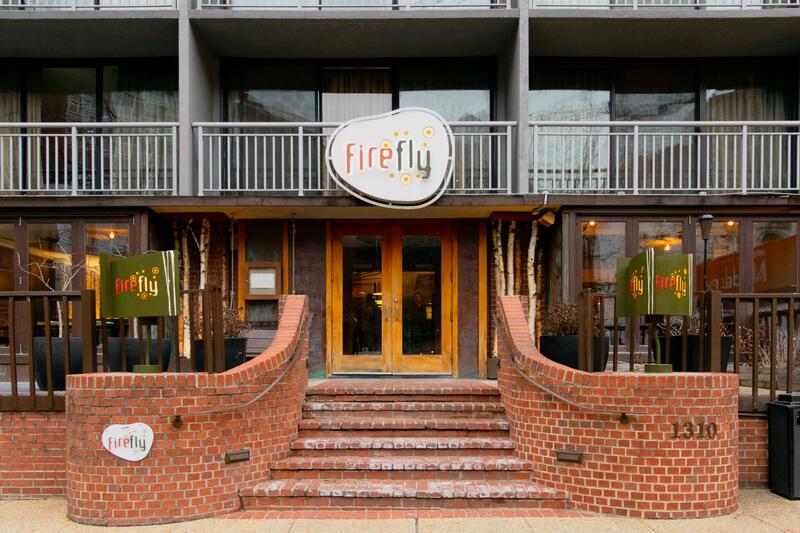 The same comforting, earthy vibes of Hotel Madera fill their resident restaurant, Firefly. 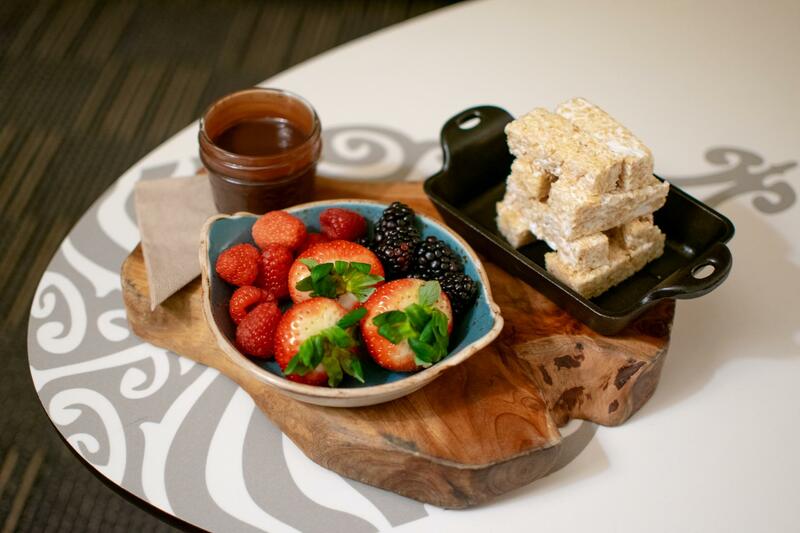 As noted earlier, we were lucky enough to enjoy a sweet treat from this establishment, but the talented team of chefs craft desserts and so much more! While we can’t speak from personal experience, the word on the street is that their pot roast and beautiful cocktails are just as tasty as they are impressive looking. 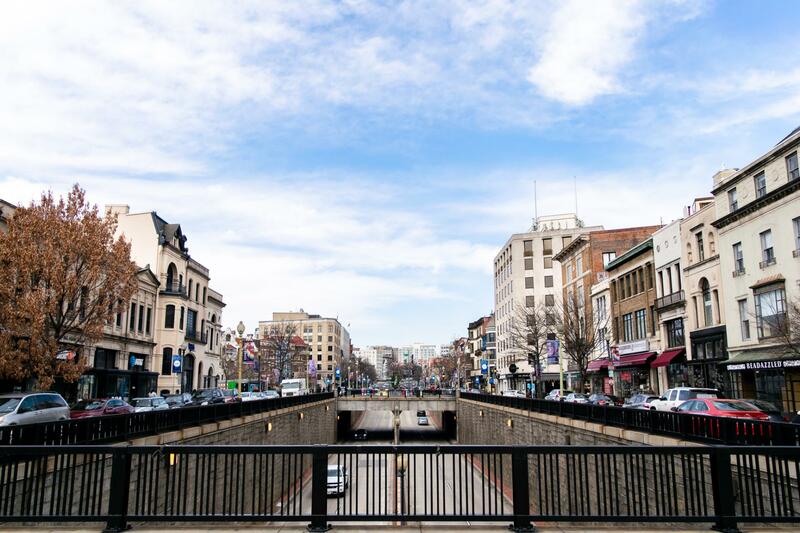 Dupont Circle is adorable and offers a little something for everyone. At the center of the bustling traffic circle, the famous fountain serves as heart of the neighborhood. The park trees were quite bare during our stay, but I can only imagine how greenery and florals add to it all in the warmer months. A variety of shops and restaurants fill the streets, especially the busy Connecticut Avenue. Whenever we travel, Eric and I are always drawn to bookstores. 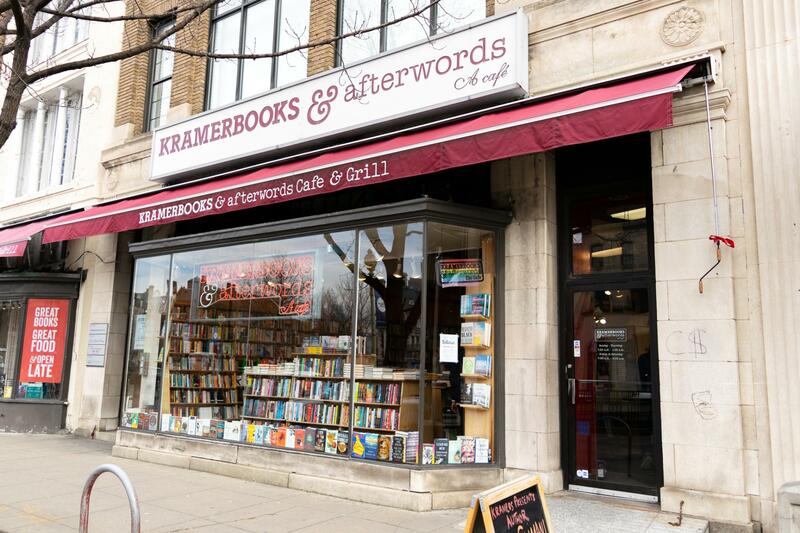 We found one of our favorites here – Kramerbooks & Afterwards Cafe. 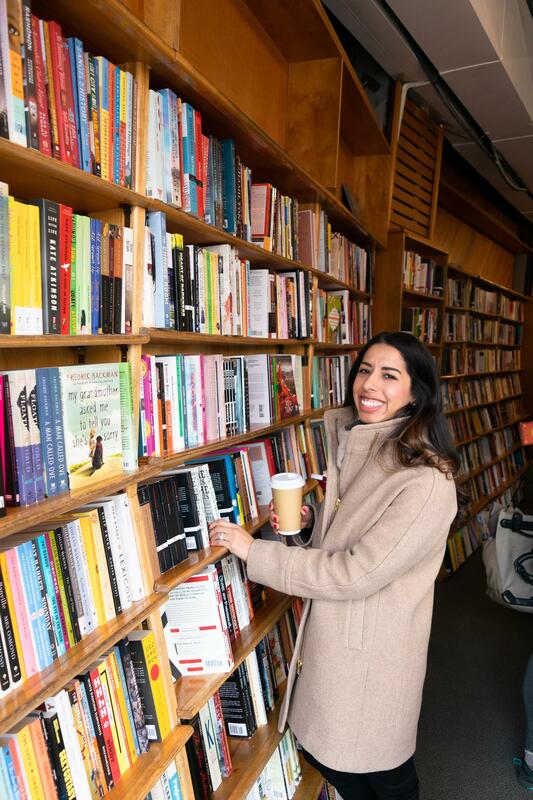 Kramerbooks is filled with natural light, well organized, and serves up very good coffee. I wish we could’ve spent more time here! Restaurant wise, we really enjoyed Soi 38 for Thai food on our first night. 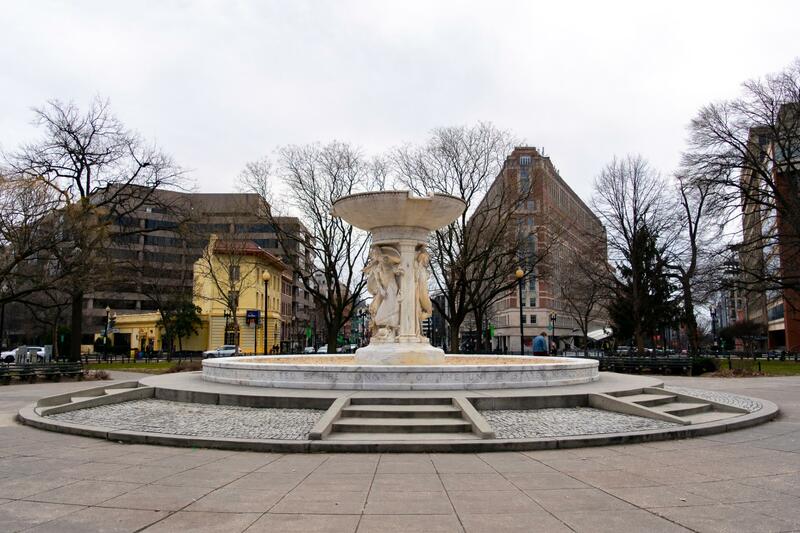 Dupont Circle also felt really walkable to the nearby, popular areas of 14th Street and Georgetown – where we enjoyed tapas one night at Barcelona Wine Bar, and music at Georgetown Piano Bar on another. We’re used to all the walking in the city, but if 25ish minutes does not feel walkable to everyone, don’t forget about that Madera car service I mentioned. 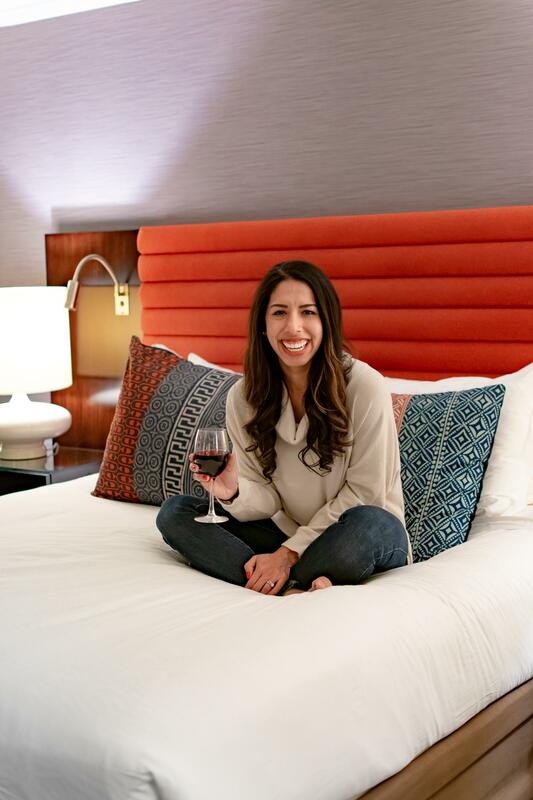 Needless to say, we loved our time at Kimpton Hotel Madera! The staff and environment quickly made us feel right at home for the weekend. We felt so spoiled with the great location, cozy yet luxurious vibes, and Madera perks! 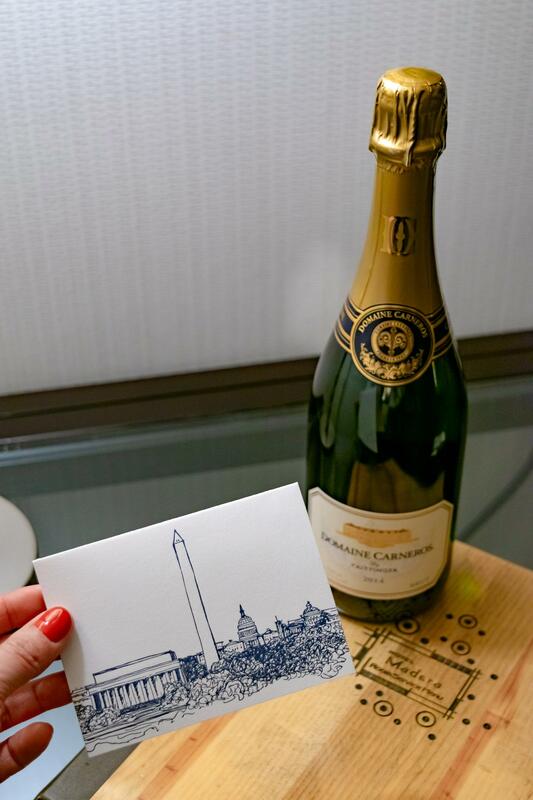 Now that you have details on where to stay in Washington D.C., I can’t wait to share the rest of our travel guide! Stay tuned for our top museums and foodie finds. 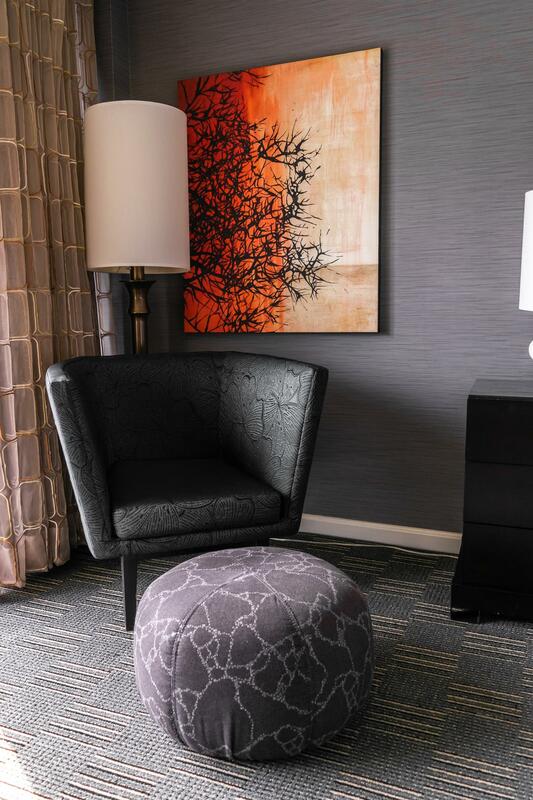 Any questions on Kimpton Hotel Madera? Let me know below! P.S. – Keepin’ it real. 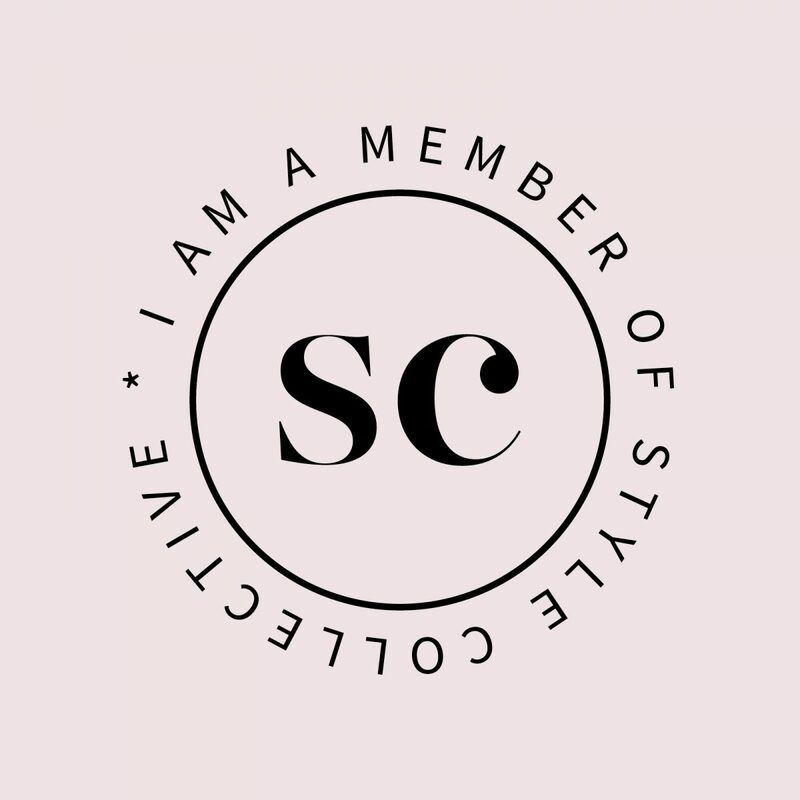 While this post was sponsored by the Kimpton Hotel Madera in Washington D.C, all opinions are absolutely my own. I’m going to bookmark this for my next trip to DC! Thank you! This hotel looks amazing!!! I want to visit DC now. Never been! How fun! I’ve always wanted to visit DC. Congrats on your collab! Yay, so glad you came to DC, my hometown! 🙂 I haven’t tried the Kimpton Madera yet, but looks like I need to!